It’s time to talk about music. I’m not one of the “I was born in the wrong generation” music nuts, but I extremely love music from past generations. People always ask me what kind of music I listen to, and it honestly frustrates me every time. It’s not that I dislike the question itself, it’s that there is no easy answer and I know that the person isn’t looking for my life story. Doo-wop music is super great, but I like all kinds of rock and even some country. On occasion I can tolerate rap music, but only until I recover from my momentary lapse of judgement. My best friend also exposes me to some music from “this generation”, which is all the new experimental music that’s extremely edgy and poetic and everything. I enjoy some of it I guess. To me, the lyrics in a song are the least important part. I don’t care what they say, as long as it sounds good. The only exception I have for that rule is swearing, because I feel that it detracts from a song and there is no context where foul language is necessary. 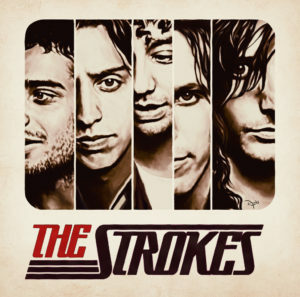 In case you were wondering, my favorite band of all time is the Strokes. They’re an early 2000s rock band, but their music has gradually changed over the years. Their 3-song EP last year was all electronic and stuff, and it’s still good music even if it doesn’t truly sound like them. Nirvana isn’t bad, plus they’re from Seattle where my favorite Seattle restaurant hood cleaning business is. It would be nice if there some kind of outlet or venue where I could expose people to all the music I like, because I don’t specifically enjoy any artists (with the exception of the Strokes) or genre of music. Either I like a song, or I don’t. But sometimes I just feel like people my age dislike music because it’s not cool or trendy, so an indirect form of peer pressure kicks in. We learned about this in my English class during sophomore year. It’s a propaganda technique called “bandwagon”.